A tour of German cabinet manufacturers shows an industry relying on both technology and a skilled, but diminishing work force to succeed, despite the pressures of a recession and high levels of competition. 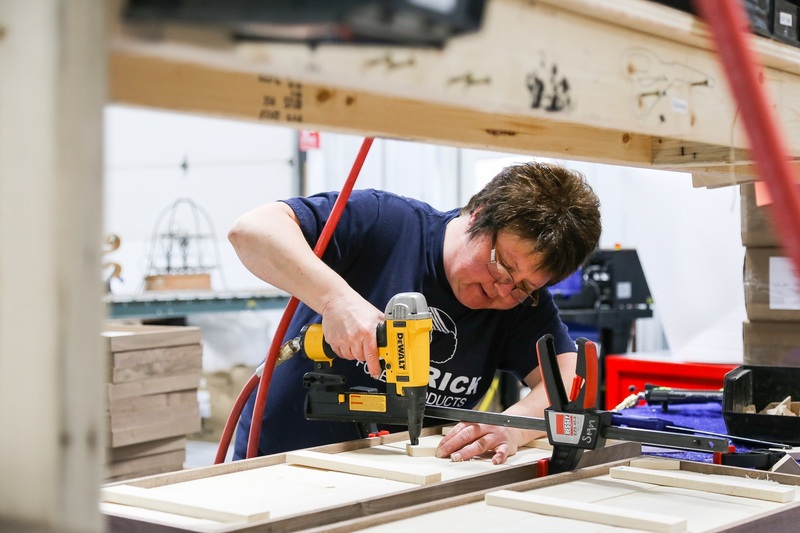 Although there are major differences based on tradition, training and business practices, modern German woodworking plants probably have more in common with their American counterparts than they have differences. Interviews with German managers bring up repeatedly many of the same challenges faced by plant managers on this side of the Atlantic. Shops visited in the tour, which was hosted by German portable power tool manufacturer Festool , all were longtime family businesses. One operation, Single der Schreiner in Frickenhausen, has a history going back 75 years. Currently, the company employs 40 people in the plant as well as 18 installers. The owner of the 75-person Westermann company in Denkendorf noted that his father had taken over the company in 1972 when it had only two employees. Even the smallest shop visited, the 10-person Hemminger shop, also in Denkendorf, had a history going back to 1932. But tradition doesn't translate to old fashioned. All of the facilities boasted a high level of CNC equipment and automated processes. Typical work cell manufacturing systems were in evidence with primary cutting done by beam saws, followed by edgebanding and then boring and other machining on CNC point-to-point machines. Brands in evidence were ones that are also quite common in the States: Homag and Giben beam saws; Homag, Holzma and IMA edgebanders; and Weeke and Morbidelli CNC machines. Some material handling strategies were less common. Every shop we visited used some sort of vacuum lifting device and overhead crane to move sheet stock from pallet to saw. But only one shop used a return system on its edgebander to move parts back to the operator for multiple-edge operations. Much like in older American shops, the German shops showed a mix of old and new equipment. Primary manufacturing machines tended to be newer models, but every shop had vintage machines still in use because they still worked and did things the shops needed. We saw different approaches to machine maintenance. In the largest operation, major machines had the names and photographs of key personnel displayed prominently at each workstation. We were told that those people were given responsibility and authority for that machine. If there was a question about the machine, the man whose picture was on it was the one to ask. In the smallest shop, the owner took a real hands-on approach to everything. He says, "This is my hobby (as well as my business)." His approach to maintenance is to have a retired machinist come into the facility every Saturday and go through every machine to keep them running in top shape. While all the shops emphasized 32mm frameless construction, there were wide differences in how much solid wood, veneer or metal work also went into their projects. 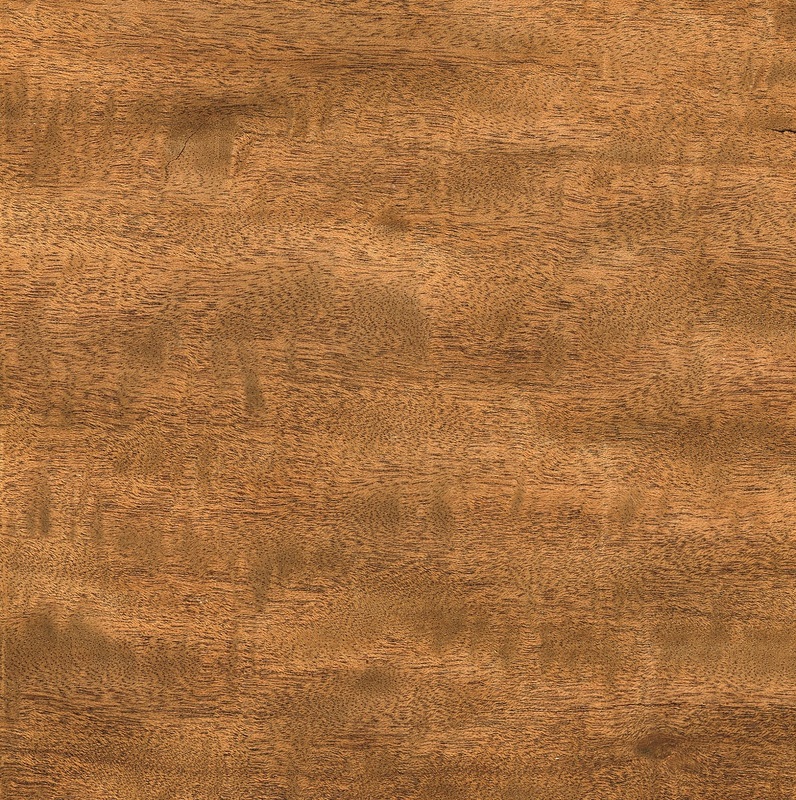 Single used 5 percent solid wood in its work, with the remainder in sheet goods, primarily melamine coated particleboard. But of the solid wood used, all of it was processed from rough boards in the shop. 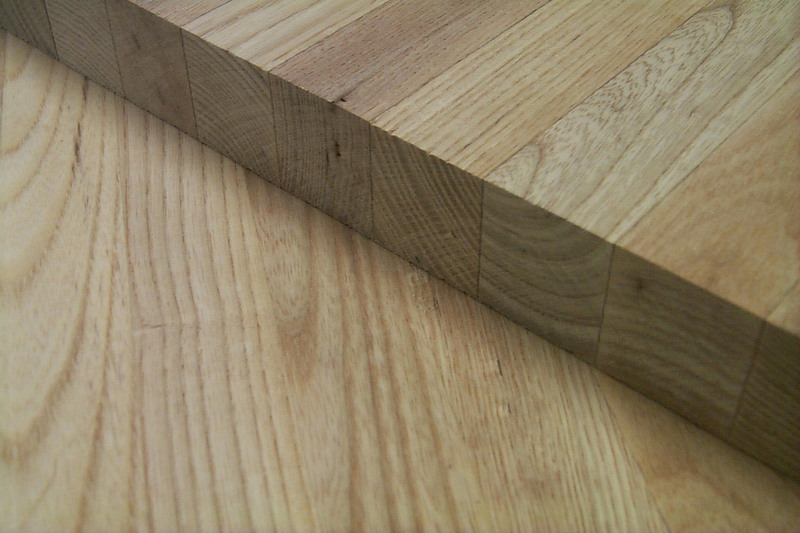 The only solid wood in the smaller Hemminger shop was in solid wood edging strips, which were also seen in other shops. Veneer was much more in evidence there, with full taping and laminating capabilities in regular use. But veneer was an important ingredient in the big Westermann facility, as well. That large plant also had a special section devoted to metal and glass work. Parts were assembled with screws, dowels, glue and case clamps. There was an emphasis on flat-line finishing or using prefinished materials. The CNC equipment in all the plants was networked to the front office, but parts were only labeled in the two largest operations, and none of the plants used barcoding. Plant managers said individual machine operators are responsible for identifying parts based on labels, markings and measurements. This points up the biggest difference between German and American woodworking shops. In Germany, woodworking employees go through a rigorous apprenticeship system. Then they become journeymen. This term has a real meaning in Germany, where journeymen frequently wear distinctive black traditional uniforms and journey from job to job. But even with this long tradition of rigorous training, German managers all still said that finding good employees is becoming increasingly difficult. In the Westermann plant, a break room prominently displayed photos from joint vacations taken by employees together which serve as team-building activities. One place where American woodworkers would definitely notice a difference is in parts of the German operations requiring portable power tools. All the shops we visited did their own installations and equipped both installers and assemblers with portable power tools. Major U.S. brands were not in evidence. European products such as Festool, Fein and Metabo dominated what was seen in use, as well as what was displayed for sale in a specialty professional woodworking retailer we visited. In the case of the Festool products, many are uncommon configurations by American standards. For example, Festool routers with a straight triggered handle for one-handed operation were common. Europeans seem to be slower to adopt cordless tools, with fewer of those in evidence. Most of the work done by shops we visited was commercial custom projects that must be won through a competitive bidding process. Asked how many bidders might compete for one job, the controller of the Single shop said that he sometimes must bid against 60 other shops for a major job. And the shop might travel up to 180 miles to do the work. There is currently a recession in Germany and major price pressure on custom woodworking shops. Single's controller said their work is selling for less now than it did in 1980. The big Westermann plant currently averages about 150,000 euros ($159,000) per job and posts annual sales of 8.5 million euros ($9 million), but third-generation owner Frank Westermann says the business has only a 1 percent profit margin. Of course, German accounting practices and tax laws make it hard to compare those numbers directly with the States. For example, Westermann also said he is able to invest 1 million euros in equipment and facility improvements every three years.